The time is finally here! After months and months of talking about it and weeks and weeks of counting down the days in my planner, my dearest Jamie and her lovely Scott will be in the same state as me this weekend! 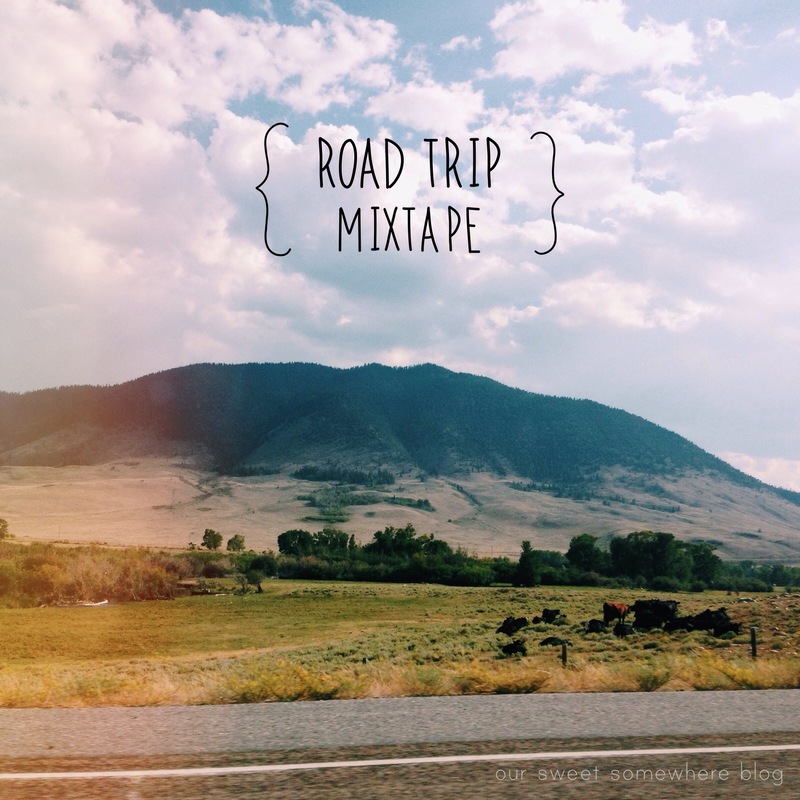 In anticipation of their trip, I have planned a little road trip mixtape to listen to on their drive to the Midwest. Hurry up, Friday and get here already! This winter season has brought nothing but crazy winds, bitter cold, and icy snow for the both of us. So for our first post ever, we thought what better way to warm up this week than with a delicious bowl of soup! I have fallen in love with Lucky’s Market, a new grocery store here in Columbus that specializes in bulk items, local foods, and delicious fresh produce. 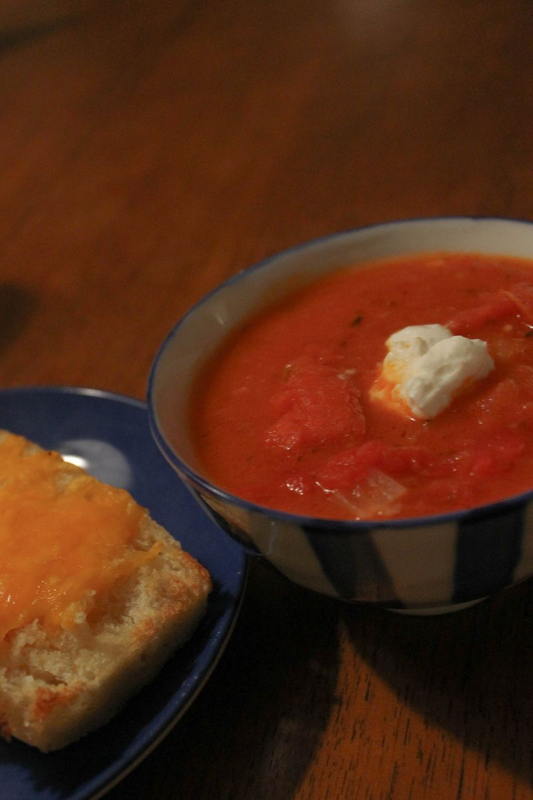 When I came accross these beautiful tomatoes on the vine, I knew I had to make some chunky, hearty, and flavorful tomato soup! I like my soup to be chunky, it keeps things interested. But you could easly puree this and make it into a smooth soup too! Preheat the oven to 425 degrees and line a cookie pan with foil. Wash and dry your tomatoes. Cut them and half and squeeze/scoop out the seeds and gunk. Line them face up on your cookie pan and drizzle them with olive oil. Sprinkle with the minced garlic. Pop them in the oven for about 20-25 minutes. Here is where I poured myself a glass of red wine. Open the can of whole tomatoes and let the juice drain out. But save it because we will use it later! Chop up an onion while you are melting 4 Tbs of butter in a pot over medium heat. Add the onion and give it a stir. Once it is translucent (about 5 minutes), add the tomato paste and flour and stir until coated. 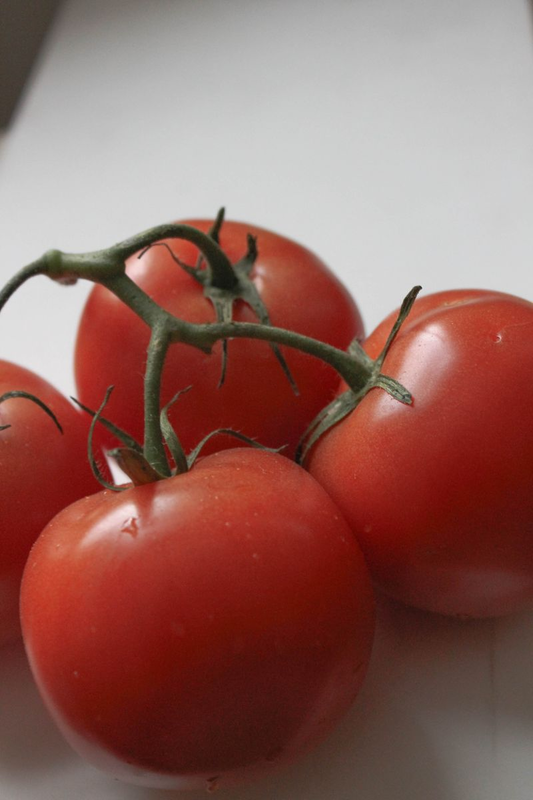 Take the drained tomatoes and break them apart and into the pot. I used my hands but you could chop them up on a cutting board. Add the spices, salt and pepper to the pot and give it a stir to coat everything. Now add the reserved juice and broth. 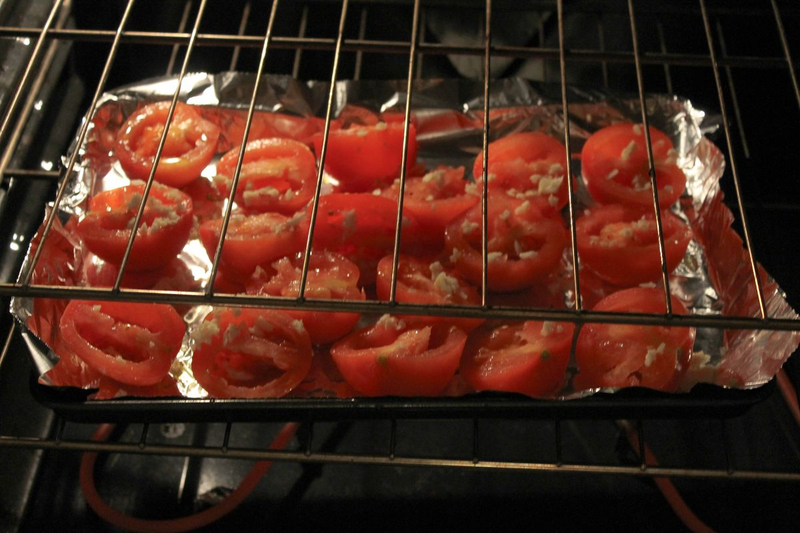 Don’t those roasted tomatoes look delicious! Once those were done my mouth really started to water and my belly started to growl! 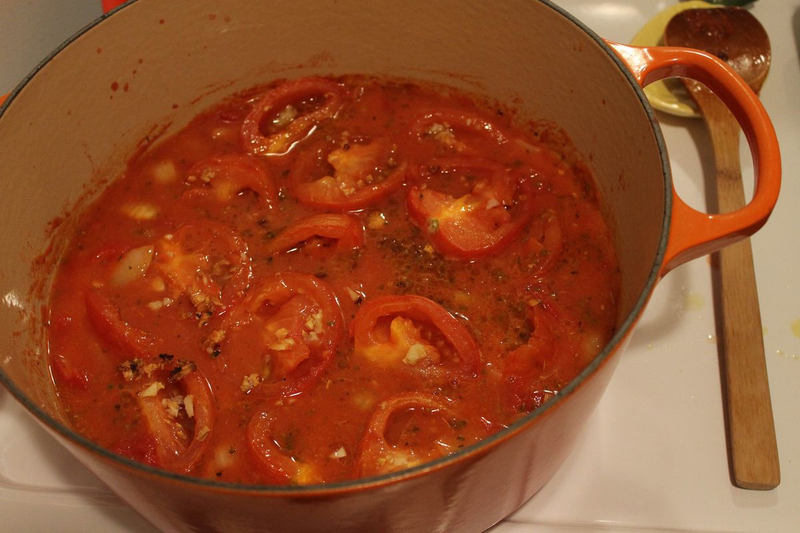 Add the tomatoes to the pot, cover, and let simmer for about 20-30 minutes. Uncover that yumminess! You are almost done! I mashed my soup with a potato masher right in the pot, but if you tend to like your tomato soup less chunky you could puree it! I had mine with some delicious cheesy garlic bread on a baguette I picked up on the way home from work. Fabulous! For my take on this week’s soup recipe, I chose to make something quick and easy that would work conveniently with my busy work schedule. 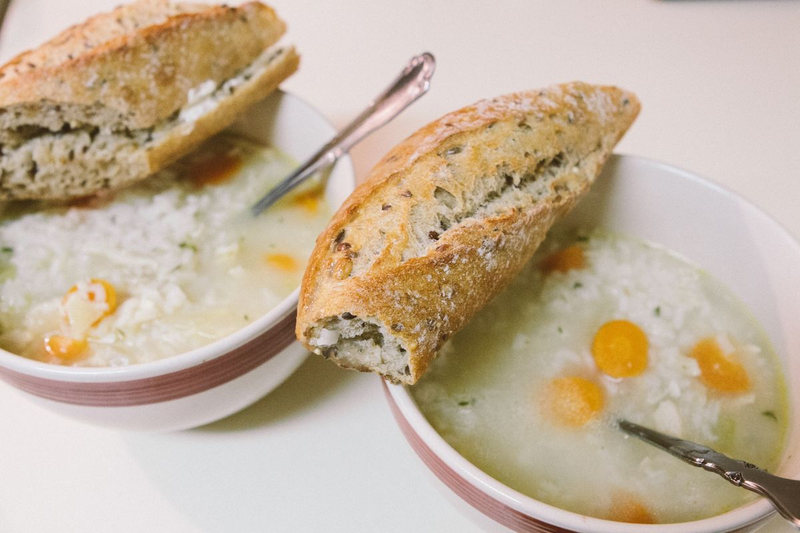 This simple chicken and rice soup (adapted from Two Peas and Their Pod) took only about an hour before it was ready to eat, and made great leftovers for my lunch the next day at work. To simplify my prep time, I decided to pick up an already-prepared rotisserie chicken from my local grocery store. 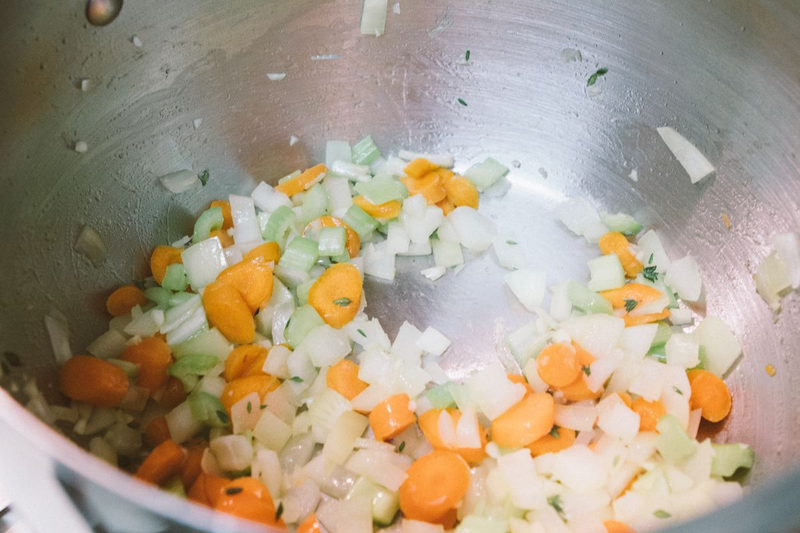 Start off with a good-sized soup pot over medium heat and tablespoon of olive oil. Add in garlic, onion, celery, jalapeno, thyme, and bay leaf. Cook and stir veggies for about 5-6 minutes until they’ve softened. Pour in the chicken broth and water and bring to a boil. Then, add in your rice and shredded chicken and season with salt and freshly ground black pepper to taste. Continue to cook uncovered on medium-low heat until the rice becomes tender (about 30 minutes). Serve hot with a baguette of your choice. 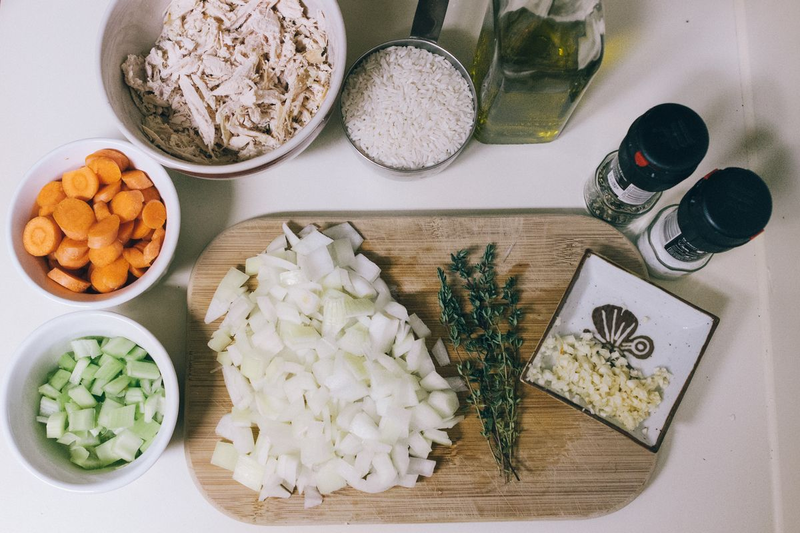 Thanks to the wonderful suggestion from Kate, the next time I make this soup, I plan on substituting the long grain white rice with some orzo. MmMmm! Cheers to winter. Cheers to soup. But most of all, cheers to good friends and the beginning of this blog. 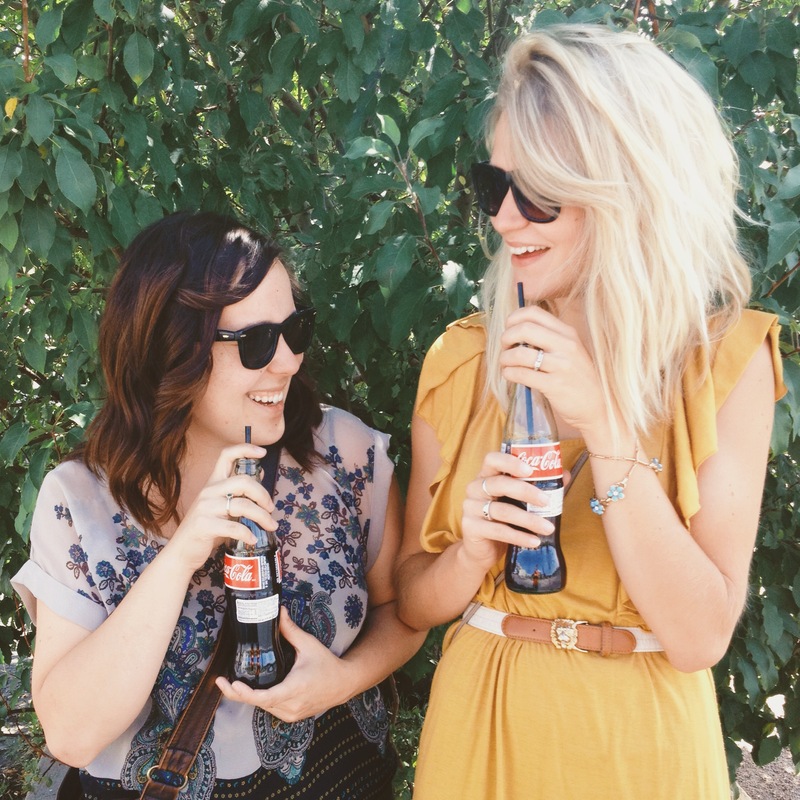 Here’s to finding inspiration together in our every day lives, wherever we may be!